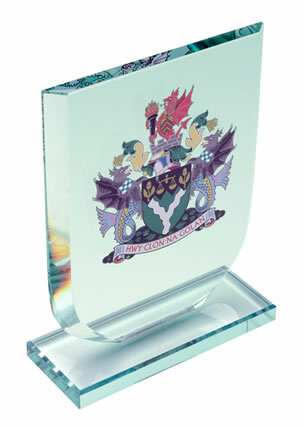 Glass awards plaques crafted in 20mm thick optical crystal with distinctive soft, rounded bevelled edges. Set on bevelled glass base. 7.75in tall. Offered with engraving or colour print options. 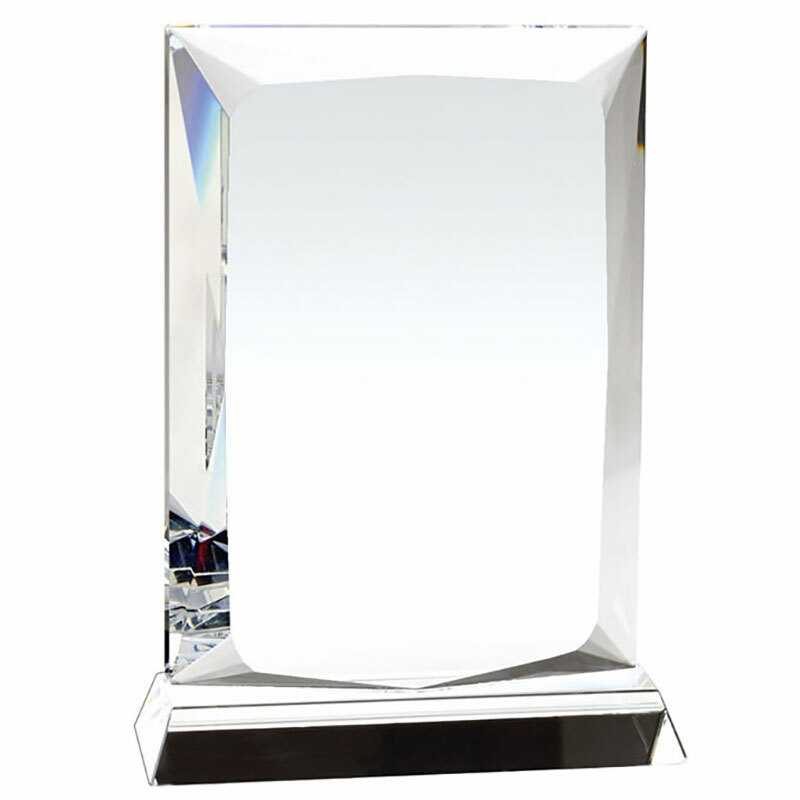 A modern twist on the classic flat glass plaque award, these quality awards are crafted in 20mm thick optical crystal and have a distinctive soft, rounded finish on the thick bevelled edges. They feature a 7.75in tall upright rectangular plaque in clear glass mounted on a clear glass bevelled base. 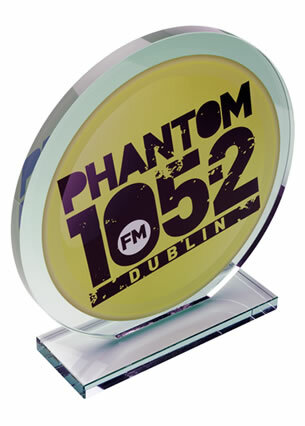 These awards are offered with low-cost engraving. 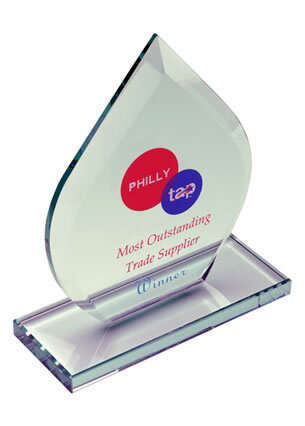 Each plaque is supplied gift boxed.